TRES HOLIZAAR show is FULL! Benefits The Studio @ 620, a local not for profit visual and performing arts venue. If you would like to apply in case of a cancellation feel free, we will keep your application on file for future shows. NEW Artful Holiday Show Nov. 21 at Artful Living! 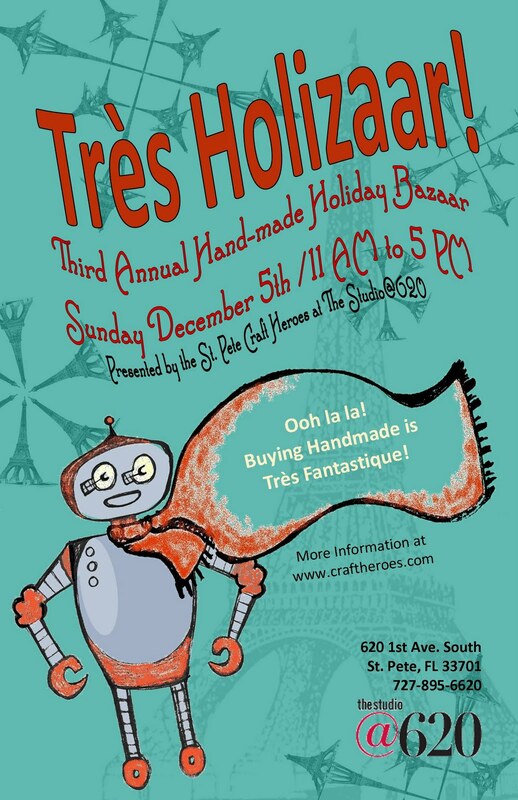 The Craft Heroes are excited to announce a second craftacular event on Sunday November 21st: ARTFUL HOLIDAYS! This show will be held at Artful Living and will be primarily an outdoor event with 10 x 10ft. extra large spaces for you to exhibit your goodies! 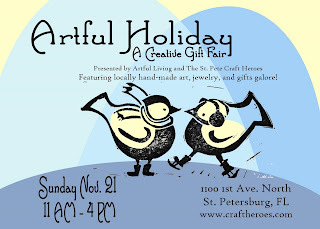 Artful Living is located at 11th Street and 1st Avenue North in St. Petersburg. Show will take place on the Artful Living patio as well as in an adjacent green space that runs along Central Avenue. Vendors will need to bring a tent or some sort of shade/protection from the elements--if you're brave just put your table up in the grass and go wild au-natural! Canned goods will be collected during the day to benefit a local food bank and we'll have live music on site as well. Vendor application to be posted soon, vendor fee is only $40! 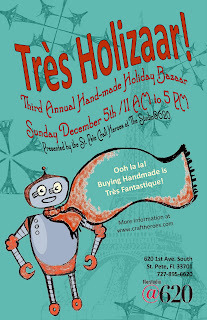 Be a part of ARTFUL HOLIDAYS!!! • Ooh La La! • Très Chic! • Très Cool! • Très Holizaar! Featuring The finest in locally hand made goods and gifts! Set up will begin at 9 AM day of show. Vendor categories will be limited to ensure a variety of products offered.